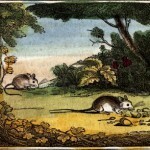 These public domain mice images have one thing in common – they are all in living color. If you are looking for general mice graphics in a variety of colors, this group of vintage mice images might be just what you are looking for. 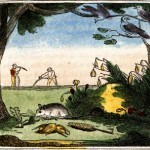 Drawing of a field mouse with his banquet. Country drawing of mice and acorns in the woods. 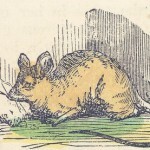 Vintage hand colorized book illustration of a mouse. 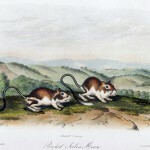 A pair of pouched jerboa mice sit on a hillside. 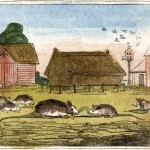 A group of mice gather in a barnyard in this vintage drawing. A simple mouse drawing ready for downloading.